By using these sites, bigger companies are finding they can do valuable market research often while passing the costs on to willing donors. Marvell, which took in $3.4 billion of revenue in the past fiscal year, recently used Indiegogo for a small fundraising drive. 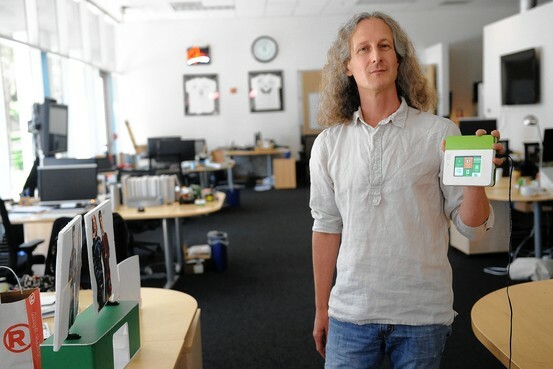 The company's objective: gauge demand for Kinoma Create, a software and hardware tool kit that includes a Marvell chipset to help build app-controlled gadgets. "We've gotten feedback from people and made adjustments to development plans for releasing [Kinoma Create] based on the response," Mr. Hoddie said. "It really does give Marvell some confidence in investing in this." Mr. Hoddie included a line in his pitch about the Kinoma team being part of "semiconductor giant Marvell," though the connection wasn't obvious unless a user scrolled down the page. Indiegogo, which was started six years ago and is backed by more than $56 million in venture capital, offers space for any entrepreneur or company with an idea and the ability to make good on promised perks. Indiegogo charges a 9% fee on funds raised. If a goal is met, the fee goes down to 4%. In some cases, when a goal isn't met, the site doesn't charge a fee. "We're not about the little guy," said Slava Rubin, the Belarus-born co-founder and chief executive of Indiegogo. "If you're truly democratizing a system—in this case fundraising—that means everyone has equal access to equal things." When Adam Sager, co-founder and CEO of startup Canary Connect Inc., was first talking to investors about the idea for an app-controlled home-security system, he began hearing from Mr. Rubin. "Slava was texting me all the time, asking, 'How can we help out?' " said Mr. Sager. Misfit used the response to persuade retailers such as Best Buy Co. there would be consumer demand for its fitness tracking device, Shine. The international interest encouraged the company to launch the device in 32 countries in the first three months.